Yes, you read that correctly. 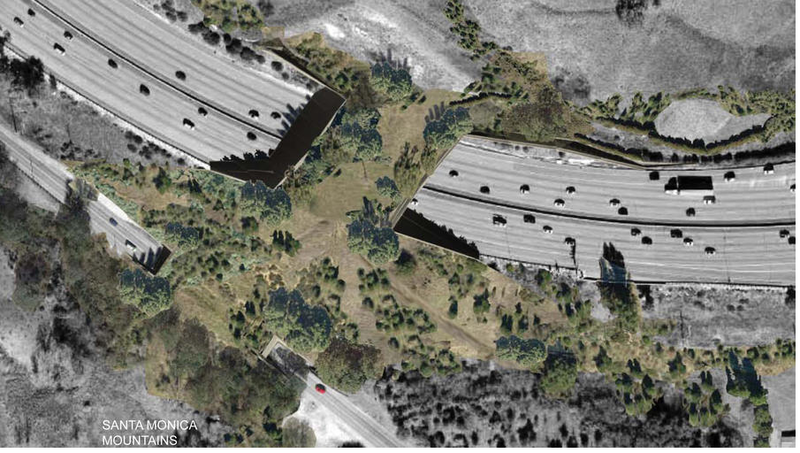 Los Angeles is preparing to build an overpass for wildlife, and idea LONG overdue. Today’s world is very different than just a few decades ago, expecially in the arena of animal rights. Today more than ever people seem to be more worried about their environmental impact, people killing endangered animals, and trying to eat more vegetables than animals. One area of serious neglect is traffic ways. Everyday in America, 190 million motor vehicles hit the road, and one million animals get hit by motor vehicles. That’s counting cars, buses, motorbikes, and trucks, but not ATVs, snowmobiles and other off-road vehicles. The figure includes mammals, birds, reptiles, and amphibians, but not insects and bugs, who somehow never count. (The insect thing is something I dont understand, vegans are all about 0 harm to animals, but kill millions on millions of bugs rodents, etc in planting, tilling, spraying, harvesting crops….) For every dead animal counted, three or four more die unnoticed. Even at 55 m.p.h., we smell the remains of far more dead skunks than we see. The walking wounded die far from the road, so only instantly killed animals are seen and get counted. By contrast 33,000 human animals are killed each YEAR. Im very glad to be part of a city that can see the amazingly preferential treatment human beings get over every other animal on the planet. Its selfish, its self serving, and its time to change the way we look at ourselves. We are part of the Earth, not its owners. The conceptual drawing that would make a land bridge over 10 lanes of LA traffic.